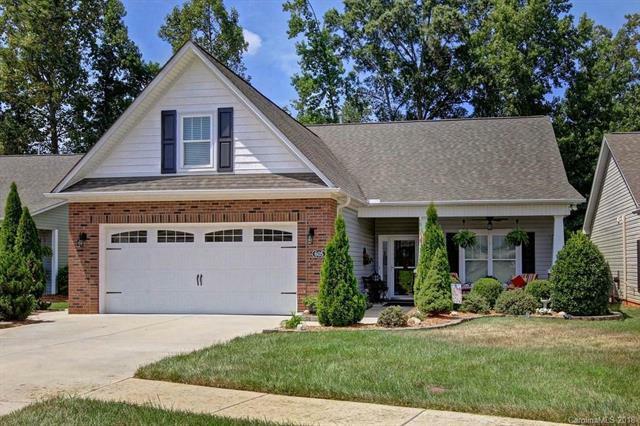 605 Cordova Court, Salisbury, NC 28146 (#3414367) :: Robert Greene Real Estate, Inc.
WOW! Looking for that home with an oasis get away in your front, rear and side yard? This is the home for you! Seller has created wonderful areas of outside beauty and tranquility with beyond nice landscaping! This is a rare find at The Gables! All the work has been done for you:) With 3 BR, 2.5 baths, this home offers all the amenities of a 55+ neighborhood home plus so much more! Large Great Room opens to 233 sf of enclosed Sunroom that can be used year round, this opens to a patio on either side in rear yard. Two large bedrooms on lower lever both offer full baths and great closet space. Upper level has large bedroom/bonus with 1/2 bath. Kitchen opens to breakfast/sitting area and this home even offers a dining/office area. Lots of flex space that you can make your own. Original design has upgrades and wonderful changes that make this unique to the community! Book your showing today ! !